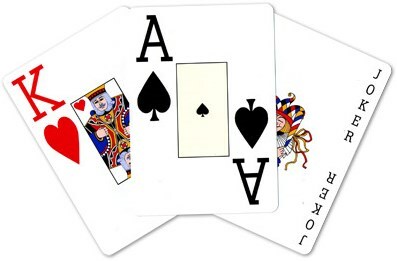 Finally, there's a deck of cards available which falls perfectly in between the standard poker-size cards and the typical jumbo decks. 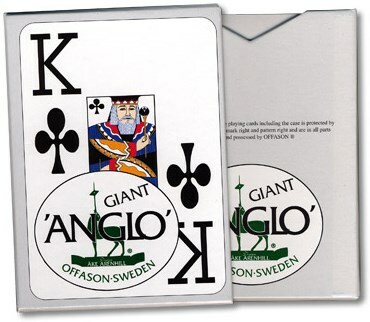 The Anglo Giant cards measure 3.5" by 5" (9cm x 12.75cm) and their large indices make it easy for audiences to see the cards even from a distance. And the best part is that you can still perform all of the usual Double Lifts, Biddle-type sleights and even Overhand and Faro Shuffles! 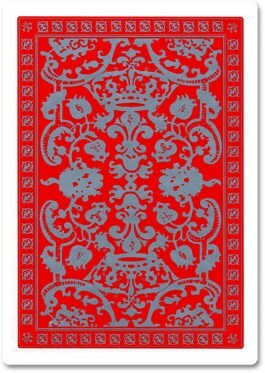 "If you do card magic and work for large groups, you'll definitely want to get one of these decks and experiment with it."